I love using natural dyes for colouring my Easter Eggs. 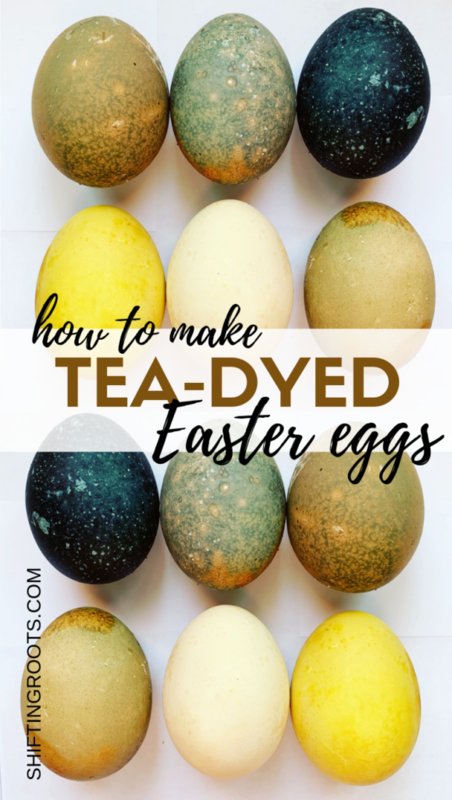 Using them feels like one giant science experiment, and the results can vary depending on which brand of tea you use and how long you leave the eggs in the dye. 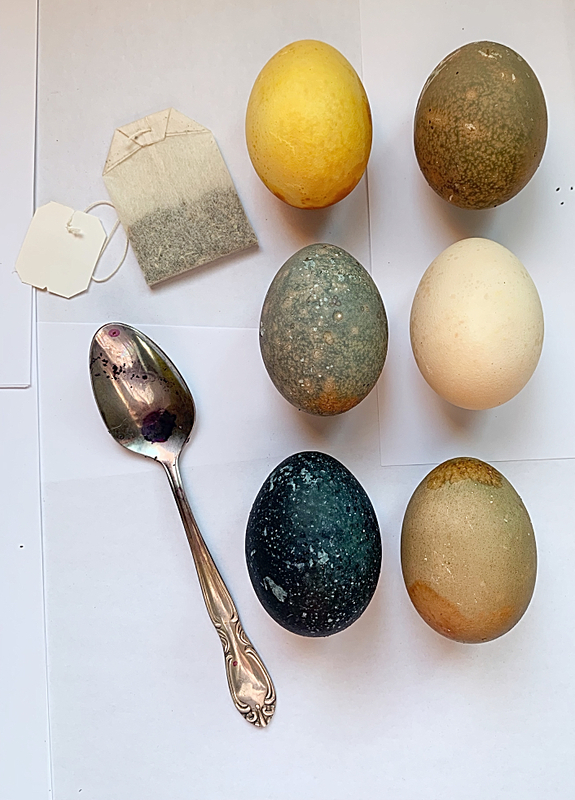 Plus, with Tea-dyed Easter Eggs you don’t have to buy a commercial kit with tons of packaging. The only bad part? If you don’t know what you’re doing, dying Easter Eggs with tea can be time consuming. 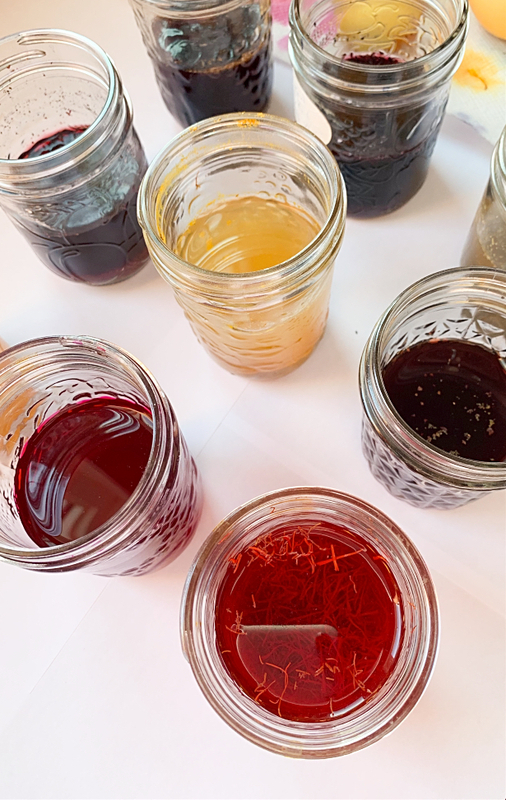 Over the last 3 years I’ve been experimenting with natural food dyes, and feel like I’ve got my method down to a science for the quickest-possible results. Some of the darker colours will still need to soak overnight, but I feel the stunning results you get are worth the wait. 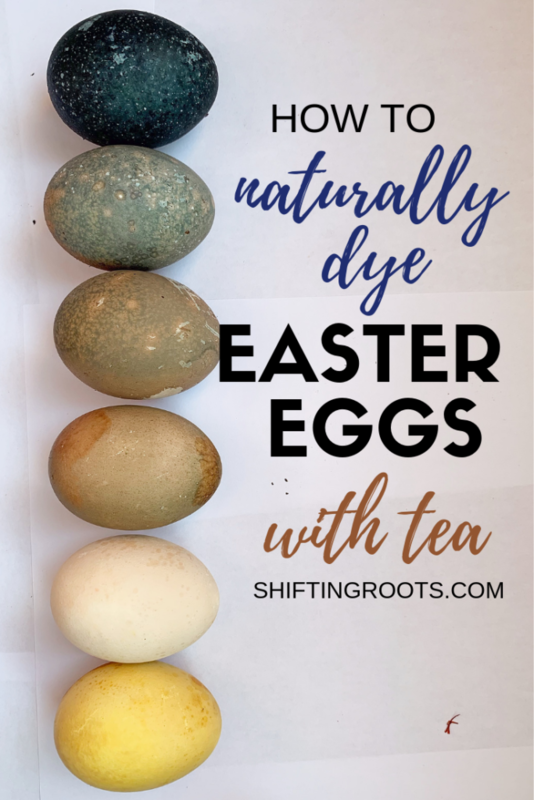 In this post I’m going to share my method for dying Easter eggs with tea, but I also highly recommend you check out my extensive post on Naturally Dyed Easter Eggs for more options. 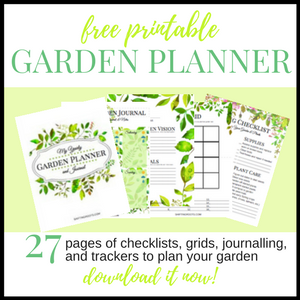 I tried out 24 different methods and narrowed it down to the best ones so you don’t have to guess. P.S. If you check out the links for the True Blueberry, Raspberry, and Black Cherry, you’ll notice they all go to the same link for a tea sampler. I feel it’s more cost effective to purchase these three flavours this way. 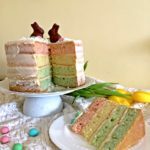 I would have liked to try a matcha tea or one with beetroot in it, but if I was being honest with myself, these were teas that I probably wouldn’t drink after my experiment with dying Easter Eggs was over. It was also -30 and I was a few days away from delivering my baby, so my motivation to leave the house and find teas I didn’t already own was about zero. 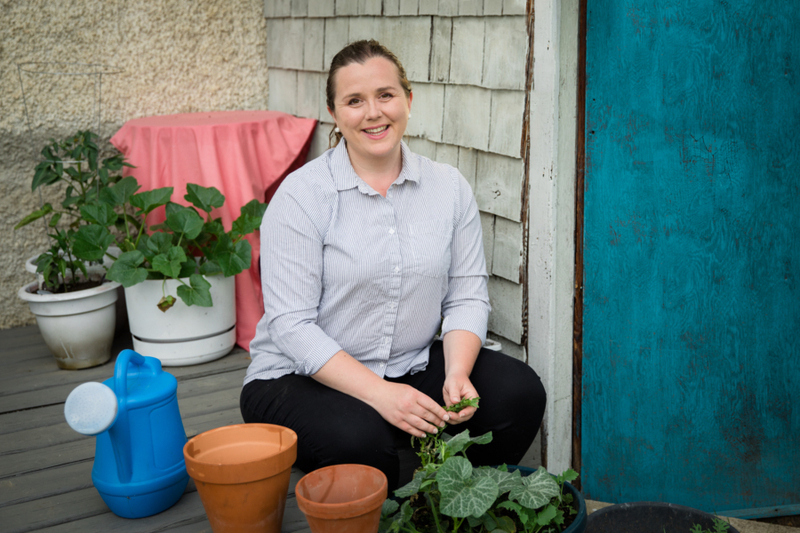 The key to success with natural dyes is to get your dye as concentrated as possible. For each of the eggs, I opened three tea bags and put the contents in a small jar with approximately 1/2 cup to 3/4 cup hot water and 2 tbsps white vinegar. I left all of these eggs in the fridge overnight to get as dark as possible. However, I did notice that most of the teas were starting to absorb into the egg shell within 10 minutes, and could have been removed if that was the colour you desired. I was very impressed with the results of the blueberry, hibiscus, and lemon green tea. 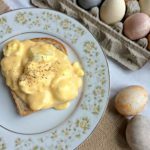 The vibrant colours are beautiful, and all three teas dyed the eggs quickly enough that they could have been removed earlier for a more pastel colour. The raspberry and cherry teas ended up being too brown for my taste. I personally don’t like dying eggs brown because you can easily purchase brown eggs. I have dyed Easter eggs with actual raspberries and chokecherry juice before, and both produced beautiful results. 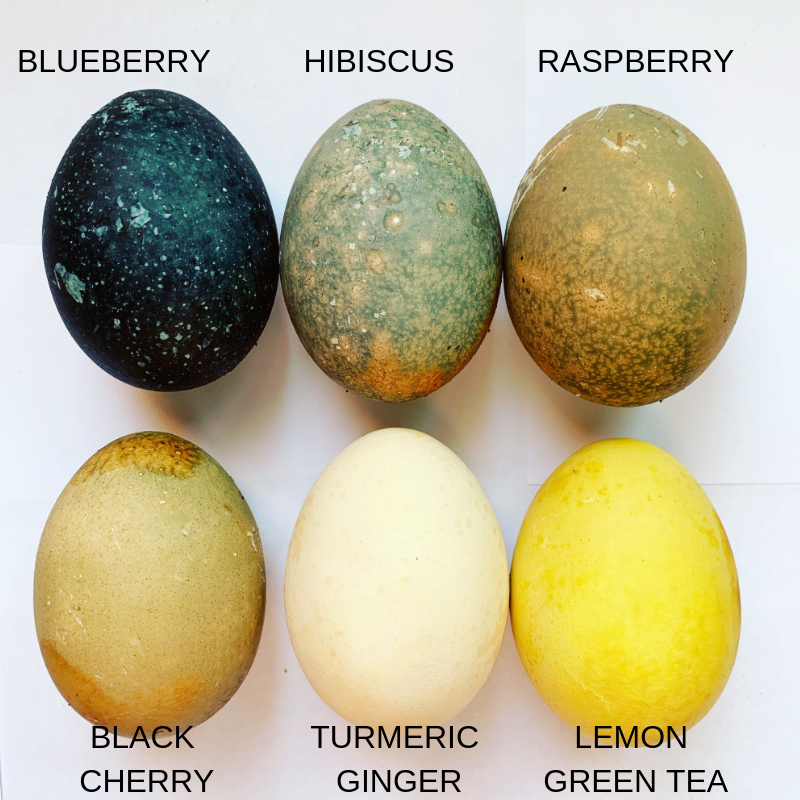 My guess is that there are other ingredients in the tea that turn the eggs mostly brown instead of pink (raspberry) and purple/blue (cherry). If you’re really set on using tea instead of the actual fruit or its juice, maybe another brand would work better. I was very disappointed in the ginger turmeric tea. Turmeric on its own makes a beautiful, vibrant yellow colour in minutes. This tea must have more ginger than turmeric, as the colour was nowhere near as vibrant as I was expecting. Maybe this variety of tea would work better. 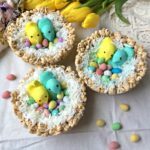 Will you try dying your Easter eggs with tea this year? If you do, let me know in the comments or post on the Shifting Roots Facebook Page. 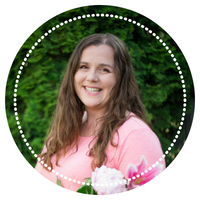 I save the pictures and I have a special page of reader results that I’d love to add your picture to.